India will look to continue their winning run. After a long overseas season, the Indian team will finally have a short home series before the commencement of the IPL which is into its 12th edition. 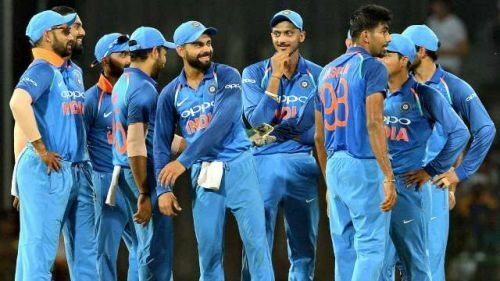 The T20 series does not have much significance for both the sides with regard to the preparation for the ICC World Cup, but this gives them an opportunity to test their bench strength. With the likes of Bhuvneshwar Kumar given rest, Sidharth Kaul and Umesh Yadav are back into the side. While Kuldeep Yadav makes way for debutant Mayank Markande who has impressed everyone in the IPL as well as in the domestic circuit, the most notable inclusion for India is that of KL Rahul who is back after a gap of 2 months. Virat Kohli(c), Rohit Sharma (vc), KL Rahul, Shikhar Dhawan, Rishabh Pant, Dinesh Karthik, MS Dhoni (WK), Hardik Pandya, Krunal Pandya, Vijay Shankar, Yuzvendra Chahal, Jasprit Bumrah, Umesh Yadav, Sidharth Kaul, Mayank Markande. The Gabbar of Indian cricket. The 'Gabbar' of Indian cricket, Shikhar Dhawan, is likely to open the batting along with Rohit Sharma. The opener has been a bit shaky in recent times. While he has got off to a few starts, he has not capitalized on them and was unable to get a big one against both the Aussies and the Kiwis. But with the familiar conditions, one can expect him to score big either in the ODI or the T20 series against the visiting Aussies. After leading the side in the T20 series in the absence of Virat Kohli, Rohit Sharma will be relieved of his captaincy duties as the regular skipper is back for the series. The top three of the Indian batting has scored the bulk of the runs for the team, and currently, there is no better top 3 than the one India possesses. 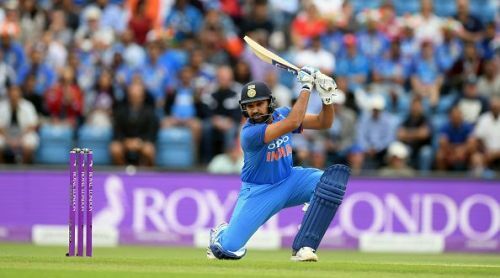 Rohit Sharma has been in tremendous form in the limited overs format from the moment he started to open the innings for India. Virat Kohli, as a batsman, has been in phenomenal form ever since he struck a purple patch, and has been consistently scoring runs for fun against every opposition in any given condition. Virat has not played the shortest format of the game in a long time but knowing Virat, that will in no way affect his confidence.